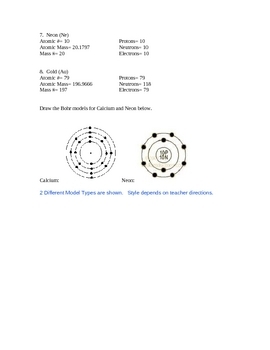 This worksheet reviews the main subatomic particles of the atom and how to find them using information from the periodic table. It ask some basic questions about the four forces in an atom as well. Key is provided.